1. a. Clean soybean,cover with water,the water should be 3times higher than the soybean. c. Clean soaked soybean with water until hulled and no strange smell. 2. Add cleaned soaked soybean and 450ml clean water in a blender(you may do times if the blender is small). 3. After grinding, filtrate by a cloth( gauze best) bag. (don't throw away the residue-okara. It's healthy food which can be blended in flour to make cake). 4.a. Pour liquid (soy milk) in a cooker and cook over medium heat. b. Stir while cooking(otherwise it will be sticky on the bottom of cooker). c. About 10mins later, it comes to boil point and bubble. Continue to cook 10mins over medium-low heat. d. Drink when become warm. 1. You'd better drink within 2 hours. 2. Don't drink too much one time and one day,250-500ml per day is better. 4. Don't drink soy milk before meal (when your stomach is empty). It's better to drink with bread in the morning. 5. You may add some sugar or salt to improve the taste. But don't add brown sugar. 6. If you want to drink soy milk everyday,you'd better to buy a soy milk maker. It's so easy,you just put soaked soybean and water in the maker,and a few mins later,you can drink delicious soy milk. But remember, you'd better use soaked soybean,though some soy milk maker's instruction said that you may just put dry soybean and water and then wait the soy milk coming out. But if you are lazy to do so, you don't have chance to remove the strange smell and some unhealthy materials on the hull. B. Steamed Bread. See day 1 dinner A. 1. a. Clean tomato,cut into small slices,set aside. b. Crack the egg into a small bowl,remove any shell fragments. Add 1/4 tsp water(to make the cooked egg soft). Beat the egg using an egg beater or a couple chopstic,or a teaspoon. (You may direct crack the egg into oil in a wok,but it's not so delicious. just practice. :)) until egg white and yolk mix evenly. set aside. 2. a . Heat the oil in a wok until about 110C. b. Pour in egg, Don't stir at once. Wave the wok to make sure the egg liquid spread evenly. Now you can stir fry egg until totaly solid. d. Add tomato slices, stir fry 1mins. e. Add salt,stir fry 1mins. 3. Pour out to a dish,serve. Tips. To make sure the egg is soft, you may pour out the egg after step 2c. Pour in the wok again after d.
A.Steamed rice,(50g rice,142g(4 1/2ounce) after steamed),see day 1 breakfast A.
b. Add pork spareribs,quickly stir fry 1mins. c. Add ginger,shallot,rice wine and soy sauce,stir fry 2mins. d. Add 1 cups of water.After boiled,simmer over low heat with cover until half cooked(about 20mins). e. Turn into high heat,add cabbage pieces. Stir fry 3mins. Simmer over medium heat about 15mins. f. Add salt, stir fry over high heat for 5mins,or both meat and cabbage thoroughly cooked. 1. Place corn powder in a big bowl,add 50g clean cold water,stir while adding until corn and water mix well and no powder balls and blocks. 2. a. 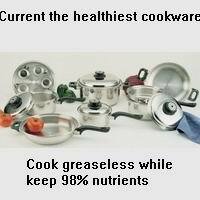 Boil water in a cooker. Slowly add corn and water mixture while stir to prevent corn powder forming blocks. b. Continue to cook 5mins over low heat until bubble or thoroughly cooked. 1. a. Prepare 2000g water,add 500g in a cooker and a basin respectively. b. Boil water in the cooker,add black fungus, boil 10mins over medium heat. Take out at once,quickly cool in cold water of the basin,take out and drain well,place in a big bowl. c. Clean bamboo shoots.Pour out the water in the cooker and basin. Add 500g water respectively again. d. Boil water in the cooker, quickly boil bamboo shoot(about 2mins). Take out and quickly cool in the cold water of the basin.Take out,drain well. e. Cut bamboo shoots into 3cm long sections.Pour in the big bowl which hold the black mushroom. 2. a. Add salt,mashed garlic in the bowl,stir well. b. Add sesame oil (or any other ingredients for salad that you like),stir well.Serve.